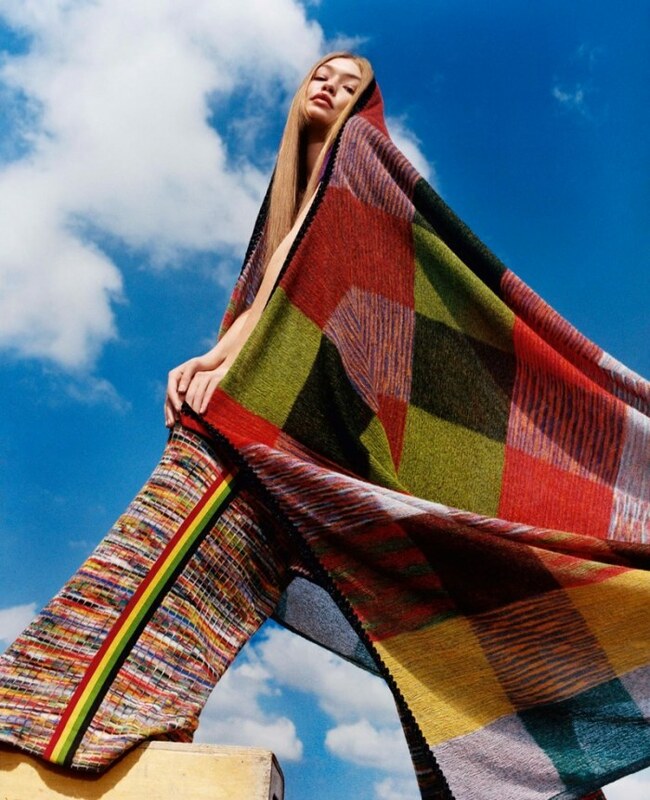 Supermodel Gigi Hadid returns for the fall-winter 2018 campaign from Missoni. The Italian fashion brand enlists photographer Harley Weir to capture the new advertisements. The fall season’s designs were inspired by the colors of Jamaica as well as rock and roll attitude. Stylist Vanessa Reid spotlights heavy knitwear, patchwork prints and wide-leg trousers. For beauty, Gigi wears her hair in a sleek style with a natural makeup look.